Amazing Oren located in New Crescent Ridge III! 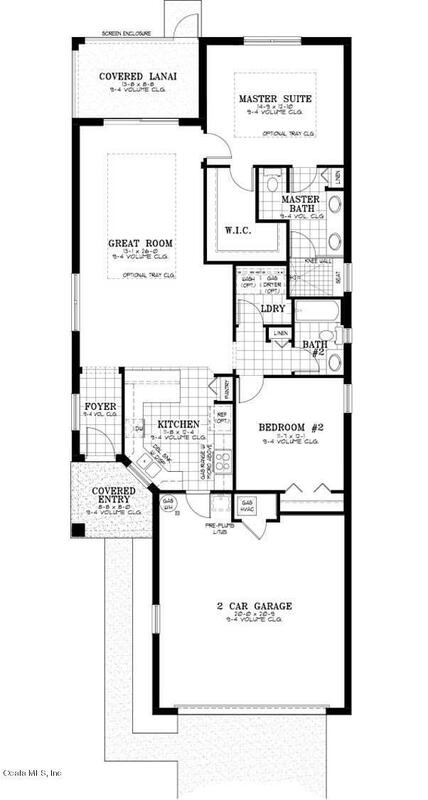 This inventory Carriage Home has 2 bedrooms, 2 baths and a 2 car garage. The home is also equipped with energy producing solar panels! The open kitchen and great room is perfect for entertaining your guests. Crown molding surrounds the foyer, kitchen and great room and there is gorgeous staggered 12'' x 24'' tile flooring throughout with carpet in the bedrooms. The kitchen features stainless steel appliances, quartz counters and a beautiful beveled brick backsplash. The master suite has a huge walk-in master closet and the master bath has quartz counters, double vanity sink, and walk in shower with seat. 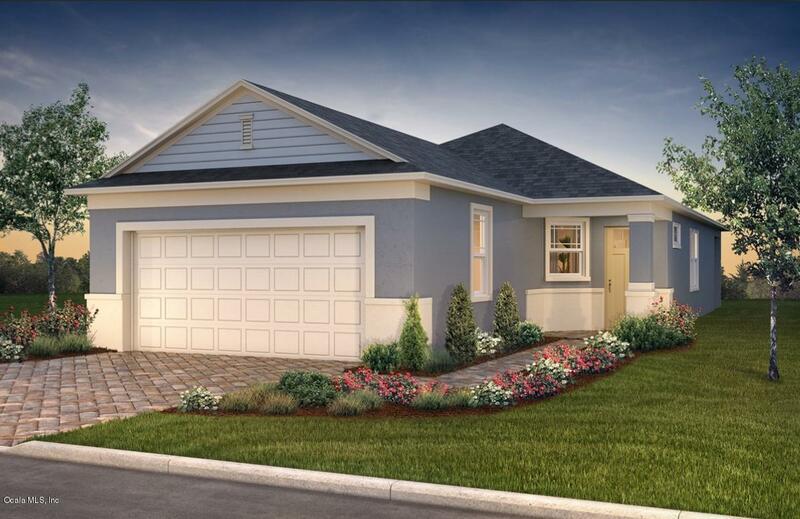 The lanai is a great place to relax to enjoy beverages and the Florida weather!Located in Ocala's premier, gated, 55+ community, loaded with amenities, including golf cart access to two shopping centers.